The struggles of a Caracas family to negotiate Venezuala's economic reality. Revolution is a beautiful word, a suggestive noun whose connotations are hearteningly auspicious. It’s one of my favourites, as it makes me think of hope. Revolution, it even sounds good: the four concurrent syllables neatly complimenting the rotational implications of the word’s literal meaning, translating figuratively to a new start, a fresh cycle. ‘This is revolutionary!’, we exclaim when something brilliant and new happens, and, politically, the descriptor is used to designate only the most positive of upheavals (only the bad guys would have referred to the Third Reich as a National Socialist revolution…). However, following what is commonly referred to as the Bolivarian Revolution of the late 1990s, Venezuela’s socio-economic situation has been subject to gradual, and seemingly irreversible, ruin. The Chavistas (spearheaded by Hugo Chavez), and their left leaning political movement, has led to political corruption, persistent protests, and a destabilised economy due to reckless hyperinflation, meaning that basics like medicine and food are often difficult to obtain. Ostensibly a revolution with socialist (another word with beautiful implications) motivations, today in Venezuela 82% of households live in poverty. Current president Nicolas Maduro runs the country like a mafioso, essentially shitting all over democracy by reducing parliamentary immunity and consolidating his own government’s authority as he strips regulatory bodies of their power of opposition. Some revolution, and so much for socialism. The ‘revolutionary’ branding is seemingly compelling, however, with so-called socialist groups in other countries implicitly supporting this wretched regime: earlier this year the International Transport Workers’ Federation hosted the Venezuelan ambassador in the UK, and at the conference various lefties wrung their hands over Trump’s supposed threat to Venezuela’s sovereignty (and, seeing as this is after all a film site, the Venezuelan government, weirdly, also enjoys the support of old Murtagh himself, Danny Glover, who was in Chavez’s pocket) . It is almost as if, somehow, violence, suffering and the abuse of democracy is ok if it’s the providence of the left, and has the romantic aura of ‘revolution’. This context is vital to La Soledad, Rodrigo Michelangeli and Jorge Thielen Armand’s (writer, director) social realist drama which portrays contemporary Venezuela via the plight of a family who are forced to leave the ramshackle mansion where they reside (the ‘La Soledad’ of the title) due to wider economic implications. These implications per se are never spelled out by the film: this is a drama that works at a micro level, looking exclusively at the people impoverished by state control and who are helpless to challenge it. Although every second of the drama is informed by the consequences of the revolution, the film wastes no time reiterating history as the focus is on the everyday ramification. 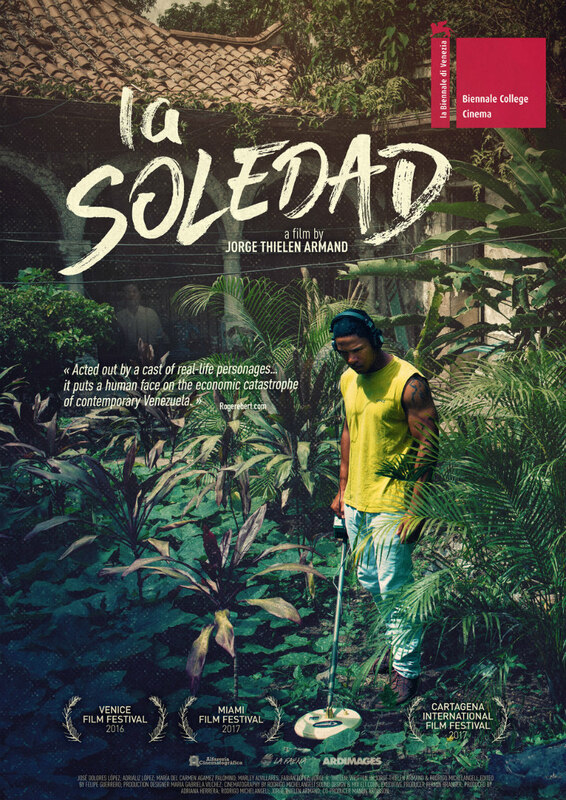 Such is Armand’s fealty to the ordinary struggle that La Soledad’s publicity refers to the film as ‘a real story and played by the actual characters’, a claim that is more than a little confusing. The actors share names with their characters (albeit, only first or last names, never both) and the performers are all (good) amateurs, or at least debutantes, according to imdb: but La Soledad, given to poetic and loaded use of symbolism, and crafted with expressive artifice, is no documentary. I imagine that the film is of the same ‘scripted reality’ ilk as daft shows like Made in Chelsea (albeit with hugely different aspirations), which means that while La Soledad does represent an emblematic situation in Caracas with requisite authenticity, it also must colour within pre-set narrative lines, following the rules of real life, rather than structured story. Hence, we are introduced to a variety of dramatic conflicts that impound the central disruption, but with little payoff: we follow lead Jose (Jose Dolores Lopez) as he attempts to work to secure the house (on building sites for richer people’s housing, in telling dramatic irony), tries (and fails) to get medicine for his nan’s hypertension, and is confronted by the temptation of crime (express kidnappings are ‘the only thing that pays in this life’, a boast that is chillingly plausible). The history of the house (and by implication, Venezuela as a whole) has specific resonance too, having once been owned by slavers who had a hoard of ill-gotten gold, which they instructed a slave to squirrel away somewhere on the property. The slavers then went to kill the poor lad so that his ghost could protect the loot, meaning his servitude extended to the afterlife! Cue sequences of Jose wandering about the sprawling, dilapidated grounds with a metal detector, sequences that, like most of La Soledad’s narrative threads, are strictly non-causal. There is no resolution for Jose or his family, an unsatisfactory dynamic which is presumably designed to create empathy with the uncertain plight of the Venezuelan poor, who are given no luxury of closure. This is perhaps the most honest and noble approach that Michelangeli and Armand could have taken with this material; however, any polemical quality is neutered by the film’s lack of urgency. The film promises much, but delivers little (the intriguing suggestion of crime, endemic in Caracas, is mentioned once then never fully explored) - there are only so many shots of Jose staring into space or up at damp-mottled ceilings one can take before it feels as if you are mimicking the character’s hopeless gazing, a sympathy surely unintended by the filmmakers. 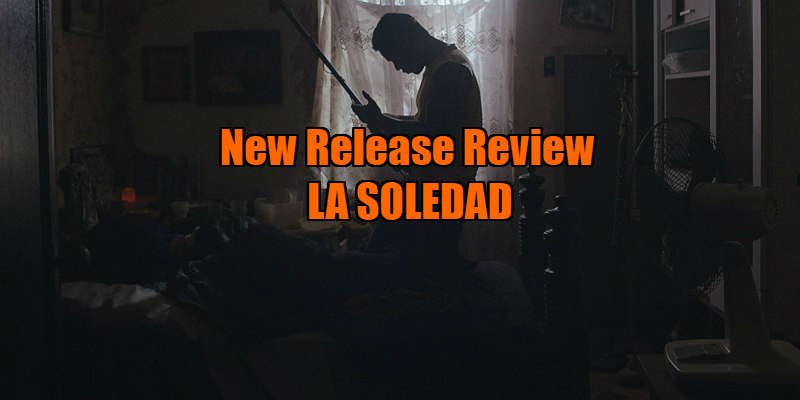 Nonetheless, as an authentic voice of a people downtrodden and subjugated, La Soledad is an important film, and one which confronts the ostensible reality of romanticised movements. For anyone with rose tinted preconceptions regarding the Venezuelan upheaval, La Soledad should make for required, confrontational viewing, as this is a film hewn from the city of Caracas, fashioned by its very inhabitants. The broken socialism of the Chavista regime and its desperate consequences are portrayed in a manner that is straightforward in its hopelessness; not so much a revolution as a vicious circle. La Soledad is in UK cinemas August 18th.